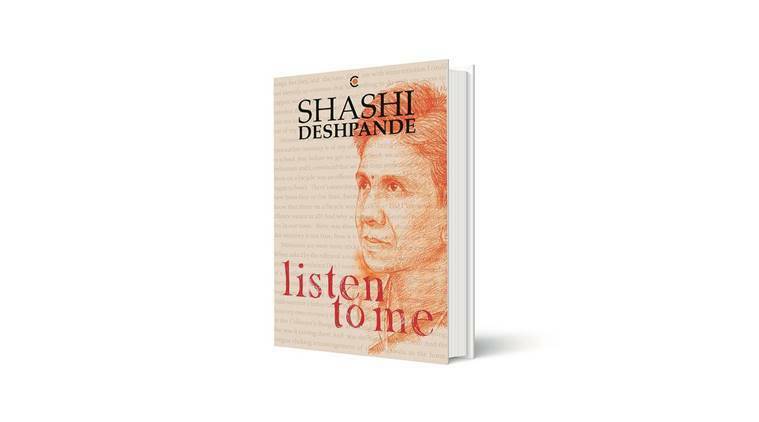 Shashi Deshpande’s memoir is an eloquent account, but if only it plumbed the depths more. Girish Karnad, Mahasweta Devi, Chandrashekhara Kambara, MT Vasudevan Nair, Vaikom Muhammad Basheer and many more were on stage well before Salman Rushdie made a spectacular entry. It was the early 1980s when, along with Anita Desai, Kamala Das and Nayantara Sahgal, Shashi Deshpande began to establish herself as an Indian woman writing in English. I first heard of her in the late Eighties when That Long Silence was published in England by Virago Press. Fiction writing in India — in English and other languages — was robust and getting better nourished by the year. Girish Karnad, Mahasweta Devi, Chandrashekhara Kambara, MT Vasudevan Nair, Vaikom Muhammad Basheer and many more were on stage well before Salman Rushdie made a spectacular entry. The best among those writers have lasted the decades. I had begun dreaming of writing a novel myself. How fertile a soil I was digging and how much deeper I could go hunting for treasures! Courageous, comic, irreverent, mystical or heartbreakingly grounded, a wide range of fiction summated the Indian sensibilities of the times. Deshpande’s work must be viewed in the context of the milieu which made her, a law graduate and mother of two young boys, put ink to paper and write stories. In her descriptions of childhood, Deshpande brings alive her life as a little girl born into a middle-class family in the town of Dharwad, Karnataka. It is filled with the sketches and observations of a child, some amusing, others grim. During her adolescence, her father, who was in the teaching profession, suffered a series of setbacks at work. The family withstood hardships for years. A financial decline during one’s teen years can be painful. Deshpande writes with unsentimental directness about her father being unable to pay the school fees of his three children; the clothes passed on by relatives anxious to help; the scene of her father being shouted at by the landlord for not paying the rent. And she remembers the acute distress of her father, as much as her own. The adult writer whom we know was shaped by this young girl’s experiences. Equally absorbing are the chapters about her moving to Bombay to study law (while her sister went to medical college), the experience of adjusting to the big city of chic, cussedness, cruelty and contrast. Although often ridiculed for her small-town ways, she stayed resolute, took a degree in law and worked for a short while, until marriage and the mothering of two sons. Everything fell into place as far as the stereotype of an Indian woman is concerned. But Deshpande is no stereotype. After four decades of being an acclaimed writer, she has given in to the compulsion of writing a memoir. Even if she were not a friend (which she is), the kinship I feel with every writer requires forthrightness in a review. Listen to Me is the simple rendering of a life lived with the eloquence of its own worth. There is freshness, humour and vivid detail in the early chapters of the book. But once she begins to speak of Deshpande the writer, it is like an exercise to be finished quickly, a mere telling of events cluttered with details of the writing and publishing of her books, the conferences attended, the lectures delivered. Her relationships within the family and outside get passing mention. We do not see the writer at her meditative moments, or the progress of her writerly arc, its frustrations as much as its joys. Readers end up being distant observers. This lack of insight in a memoir by a senior writer of worth disappoints. The book begins with a quote from Roland Barthes: “Biography is a novel that dare not speak its name.” Deshpande has no intention of hiding anything, and that is her forte. I hope she will continue to write her novels in a voice that is clear, mellow, and currently rare.